"Michel Chussodovsky confirmed this, and that in a bitter irony both the CNN and the BBC had announced the collapse of WTC7 20 minutes before they actually collapsed. While the BBC reporter was saying this being filmed in front of WTC7, showed the building still up, and he wondered how any one could have known this without foreknowledge. "Dr Mahathir said that obviously there have been a lot of lies behind these wars..."
"Journalists And Other Media For 9/11 Truth"
Does Christ's Church really stand for TRUTH & JUSTICE? That is the question! I'm a malay man. I was educated by an american woman when I was 8 years old living in Rhode Island. In my opinion, no american can be so sadistic and diabolical enough to do this. 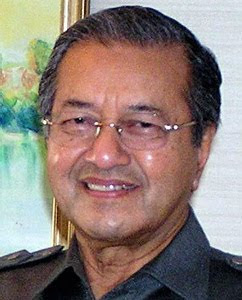 Stop listening to this malay, Mahathir. I am a malay man living in Malaysia. I was educated by an american woman when I was 8 years old living in Rhode Island. I don't think the american government to be so sadistic and diabolical to do such a thing. Don't listen to this malay, Mahathir. There's no need to be sarcastic and strung up for reading my opinion. We just go our separate ways. You wont here anything from me again. Wassalammualaikum warahmatullah hiwabarakatuh. And to add to the above...your website is using the american computer infrastructure anyway...think about it. I'm the anonymous malay man. 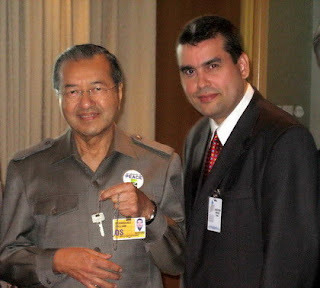 I just want to add that your prime minister mahathir did not serve in the Royal Malaysian Navy. I served in the Royal Malaysian Navy and so did my father. I know how it feels to be trained to die for my country.